Over half of adults over the age of thirty have some level of periodontal disease, from the mild form of gingivitis to advanced gum disease. This is a type of infection that affects the gums, leading to a breakdown in the tissue and bone in the jaw. If left untreated without general dentistry, periodontal disease can lead to tooth loss and put you at risk for serious health issues like stroke and type 2 diabetes. At Ora Dentistry, we take preventing and fighting gum disease seriously. We offer effective periodontal therapy to help our patients protect their oral and overall health. Periodontal disease is essentially an infection of the gums. Bacteria present in plaque and tartar attack the gums, causing infection. When this first begins, it starts as inflammation of the gums; they become red, swollen and can bleed easily. Then they begin pulling away from the teeth, receding to form pockets that become further breeding grounds for bacteria. To stop this progression, the infection must be treated. This can involve deep cleanings, medications and home care to kill the bacteria and stop the infection so the gums can heal. 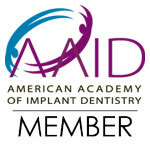 One method of deep cleaning for periodontal therapy is scaling and root planing. This technique removes calculus or tartar that has accumulated below the gum line, causing the gums to recede from irritation. Scaling tools are used to remove the buildup of tartar on the tooth roots, then they are planed to create a smooth surface. This is one of the most effective treatments for moderate to advanced gum disease, helping stop the infection and allow healing of the gum tissue. Periodontal disease can be treated. Contact Ora Dentistry today to learn more about how to prevent and stop gum disease, protecting your oral and overall health.